Our dedicated team of Precision Ag Specialists at SEMA Equipment are experts at showing you how to use your equipment to its fullest potential. A SEMA Equipment Support Agreement is an annual subscription fee that includes software updates when new software is announced, telephone support with SEMA Precision Ag Specialists on technical and set up issues, and on-farm visits when necessary. The low annual fee ensures you have the support when you need it. 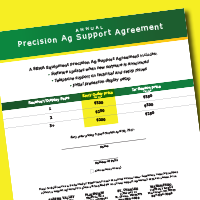 Precision Ag Support Agreement 2017. 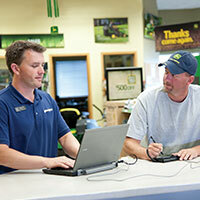 Through JDLink and Service ADVISOR Remote, your certified John Deere technician from SEMA Equipment can extract your equipment information remotely to isolate, identify and resolve problems quickly to keep you running efficiently. 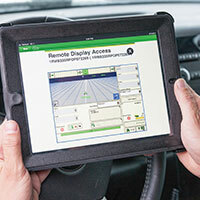 Remote Display Access allow a service technician or support specialist to view a real-time GreenStar 3 display remotely. This functionality enables the support specialist or technician to identify a problem and help the operator navigate through the steps needed to resolve the issue.